If you had to pick one vacation experience, what sticks out in your mind more than anything else? For me, it’s always been our summer vacations as a child to Cape Cod. We had family friends who owned a house on the beach and we would head there for a week or so every year. Sometimes my best friend and her family would come as well and that was always a blast. But I’m sorry, this recent vacation to Mexico has now left all past vacations in the dust! And the number one experience of the entire week? 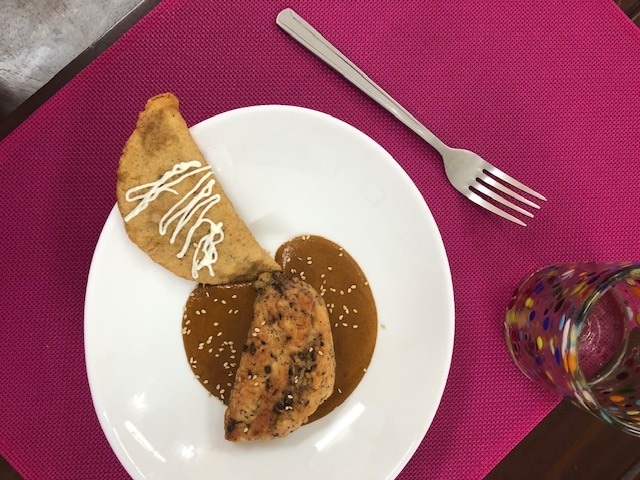 It has to be our cooking class with Cookin’ Vallarta. Let me tell you all about it! In the fall, we went on a cruise to the Caribbean. Our first stop was in Nassau, Bahamas, which we had been to before. 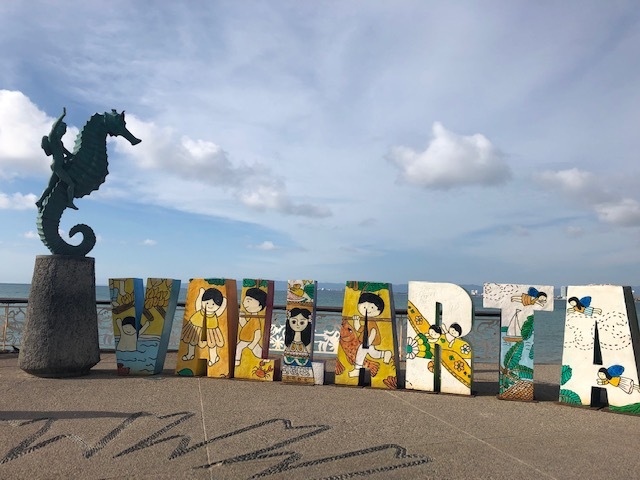 Because this was our second time, we looked for something a little different than the typical snorkeling or Paradise Island excursions. In the end, we did a walking food tour, all of independent restaurants run by local Bahamians. 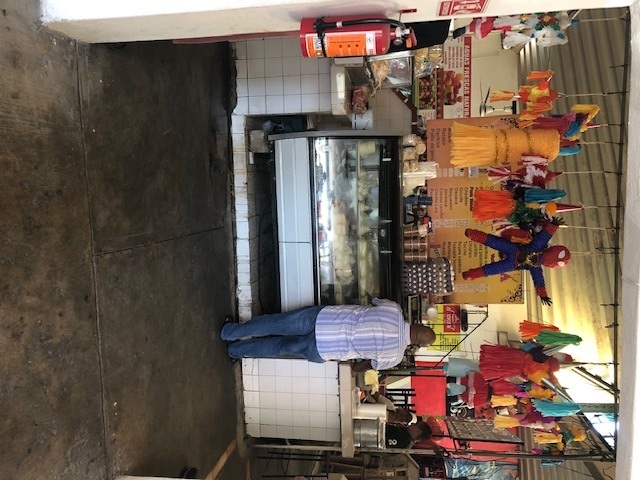 When we came back from that vacation, I looked for something similar for us to do in Puerto Vallarta and ended up finding a company called Cookin’ Vallarta. 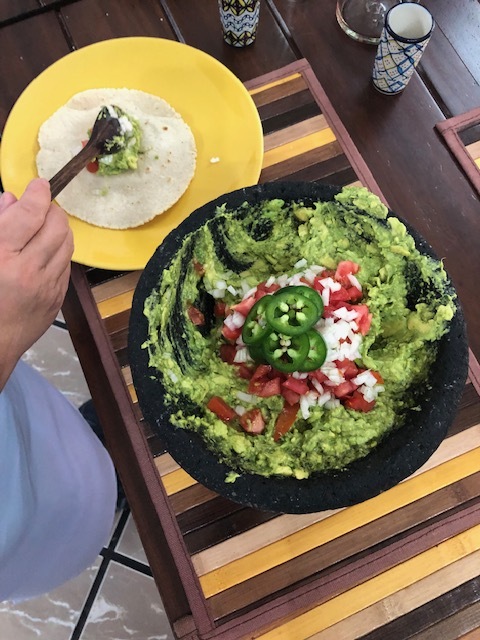 While this locally run company also does a walking tour of local taco stands, we discovered that what they’re known for is privately held cooking classes! How perfect for this food blogger and her foodie family! Cookin’ Vallarta holds several different cooking classes (you can peruse their “menu” of options HERE) but we were instantly drawn to the mole and tamale making class as these are some of our favorite foods! And what an experience it was! We were up in the air about what we wanted to do while in a Mexico, and didn’t make any decisions until we actually arrived at our resort. So we didn’t end up booking this class until a couple of days before. But that didn’t matter to our host, Enrique. It also didn’t matter that it was just the three of us or that he was planning on taking that day off with his family. He graciously hosted our family at the last minute, in his own home! The class started with Enrique picking us up and taking us to a local market to gather supplies. 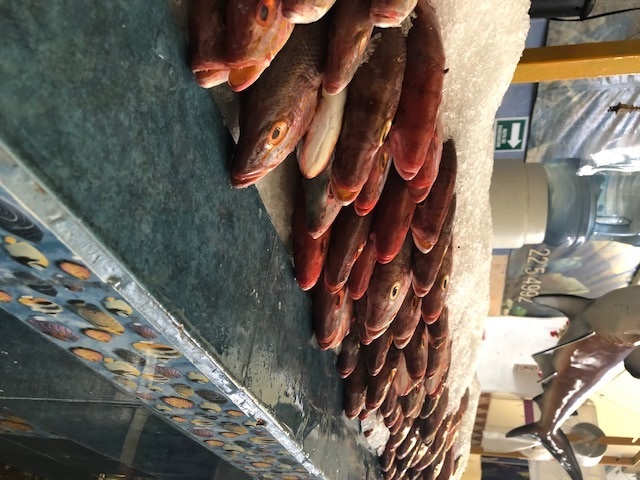 It was so much fun to get to shop at an open air market with the locals, and not just at a Walmart or mega-store. 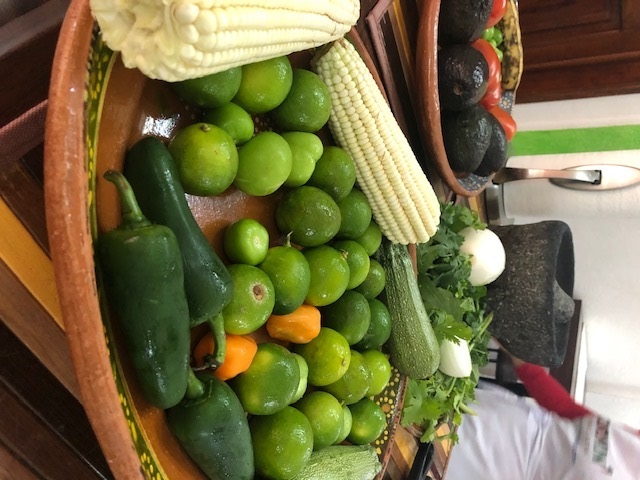 Here, we gathered fresh herbs, vegetables, fruits and masa dough to make our tamales and corn tortilla! After gathering our supplies, we headed back to Enrique’s home. 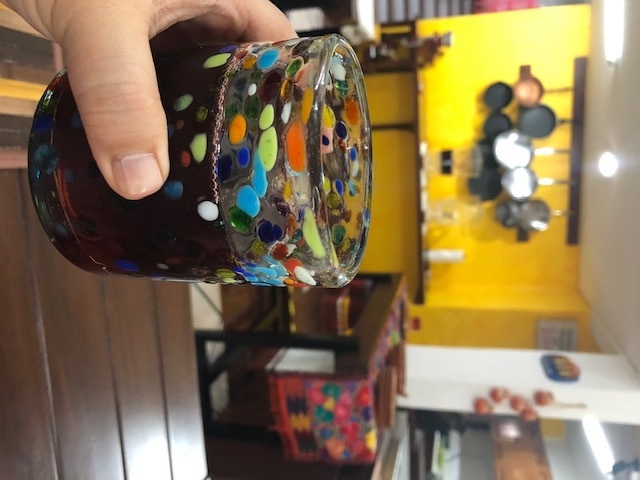 We were served hibiscus tea, lemonade, and other refreshing drinks before starting cooking. 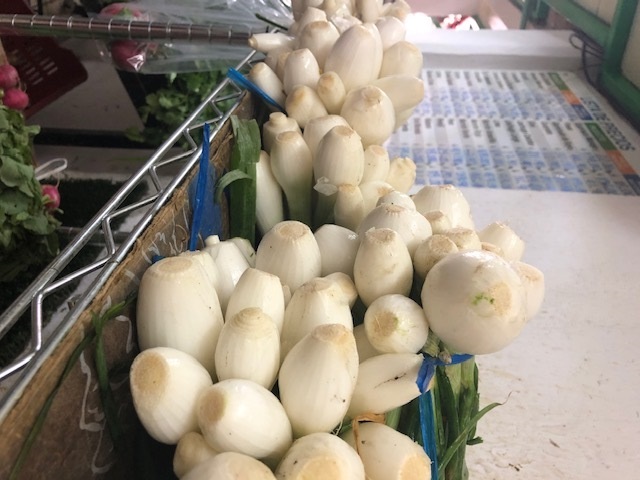 Our first dish? Homemade salsa! Did you know that Mexicans don’t tend to eat raw salsas? That’s more an American invention. They roast their tomatoes before turning them into salsa. 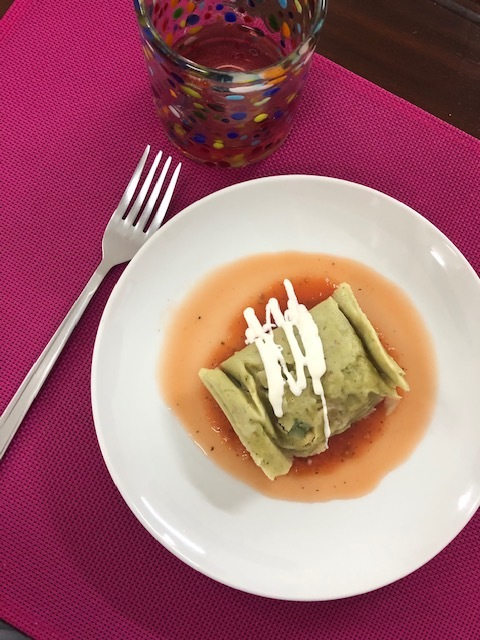 After making salsa, we turned our attention to making tamales. They needed to steam for an hour and so we needed to get them into the pot as soon as possible. We LOVED making these! Wrapping them in banana leaves instead of corn husks was interesting too. And while I wasn’t a huge fan of the filling (hard boiled egg, zucchini, and peppers- I’m not a fan of eggs), they were just too fun to prepare to be upset for long! After making the tamales, we ventured on to tortillas and mole. 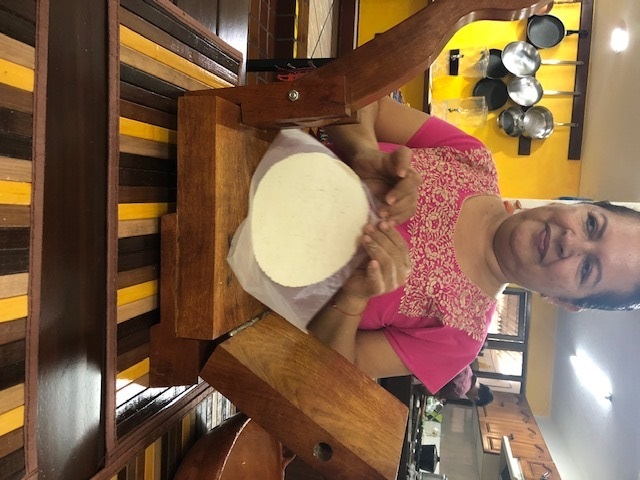 It took me a bit to master the technique of homemade tortillas. It’s not as easy as I imagined. But after a couple of broken tortillas, I figured it out! I’m now a tortilla master and must buy my own tortilla press! Because homemade tortillas blow store bought out of the water! I’ve also learned over the years of vacationing in Mexico that they don’t eat crunchy tacos that much either. Their tacos are a soft, flat corn tortilla, filled with whatever fillings you desire. I’ve never seen crunchy tacos on a Mexican menu. But maybe you’ve had a different experience? Do Mexicans actually eat crunchy tacos in Mexico? The last thing we made was the mole. Enrique told us that there’s actually different types of mole; pink mole, green mole, red mole… there’s many different ones! And they don’t all feature chocolate. I always thought that was the star ingredient to mole, the chocolate! You can’t have mole without chocolate right? Actually, you can. It’s more about the chilis than the chocolate. We used 6 different kinds of chili peppers! 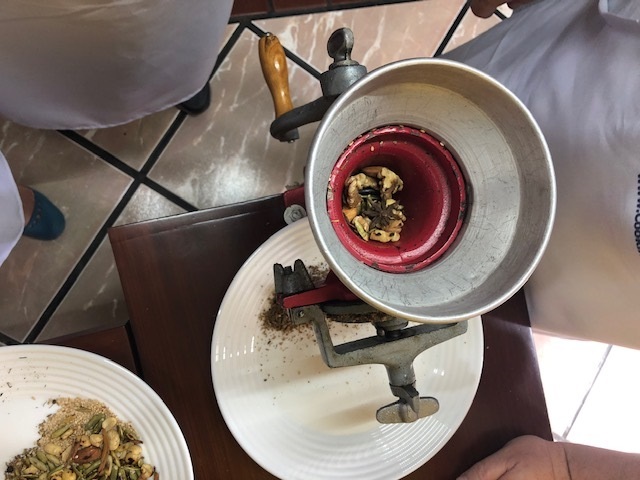 And roasted and ground our own spices with a hand mill. It was so fun! Our mole was light and complex, with just a slight hint of chocolate. Nothing like the heavy mole sauces I’ve had in the past. It was really heavenly. 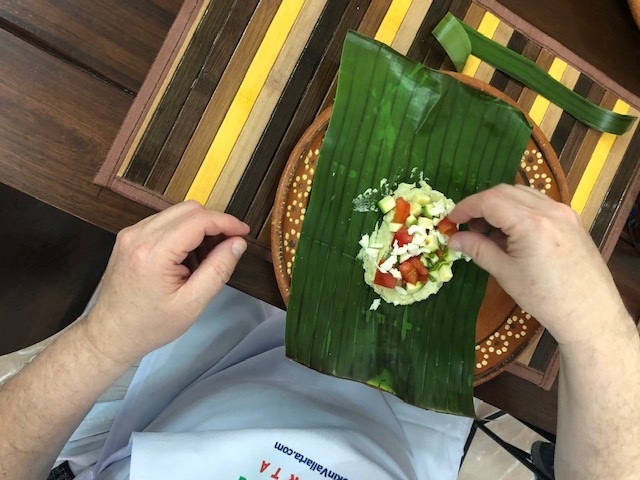 If you’re headed to Mexico soon and are interested in taking an authentic Mexican cooking class, try one with Cookin’ Vallarta! They have classes in several Mexican cities! Eating Gluten Free on the Carnival Breeze!